The following are the jntu kakinada MCA previous question papers of all the years from 2009 to 2014.The jntuk MCA 1st semester regular/supply examinations are going to be held from 16.02.2015 on words. So, here are the stuff for you. 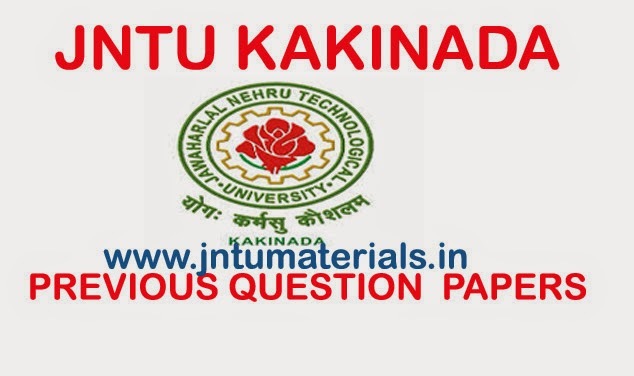 jntumaterials.in provides you all the exams related stuff such as syllabus, materials,previous question papers. Here you can download all the jntu materials easily and fee of cost. we have established jntumaterials.in for all the UG & PG students to provide all the exams related contents.